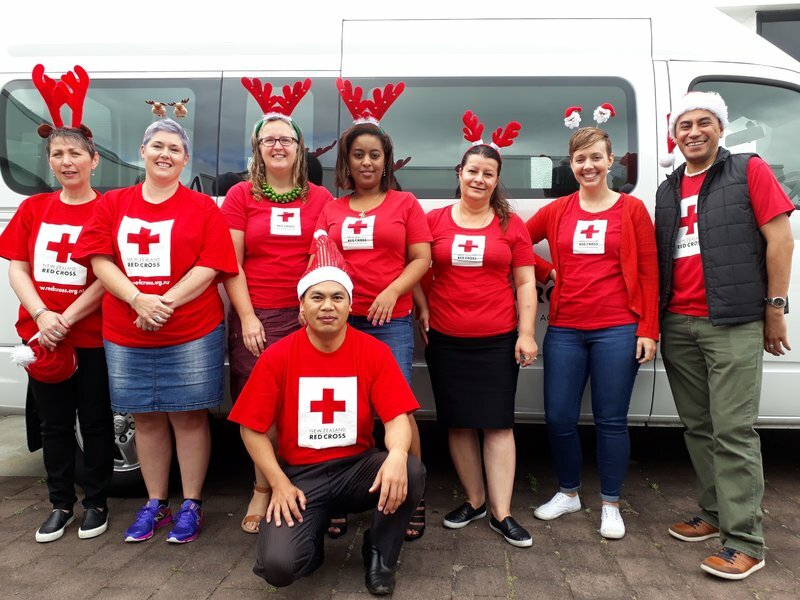 A team of Red Cross staff members have taken some timeout to deliver Christmas gifts to families who were resettled in Auckland throughout 2016. Each of the five Red Cross teams were named after Santa’s reindeer and split the city five ways so they could get the gifts to all the kids. The presents were donated by a variety of sources, but the bulk of them were raised by Red Cross volunteer, Emma. She made use of her huge network of friends and social media followers to gather the gifts for each child. What she didn’t raise was provided by anonymous donors and the East Coast Bays Red Cross branch. “It has been great to see such a groundswell of support from the community and enthusiasm for this project,” says volunteer team leader, Heidi Cripps. This toy delivery is a yearly endeavour undertaken by the New Zealand Red Cross team in Auckland. Parents of the children don’t miss out either. This year they received gifts that had been donated by a small group of East Auckland community members. Some families also received boxes of food items donated by ‘The Christmas Box Project’ led by the Life Centre Trust. If you’d like to become a refugee support volunteer, you can find more information here.